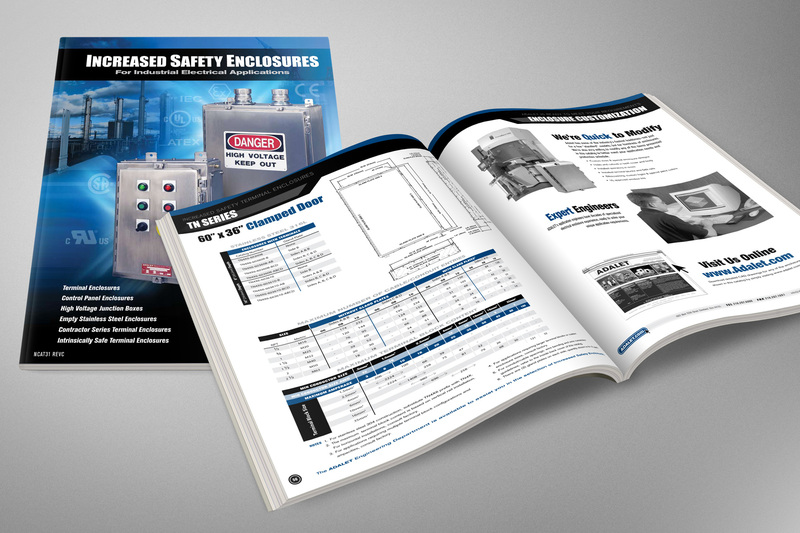 After the redevelopment of the new full-line product catalog, we were tasked with developing application specific catalogs for specialized markets. 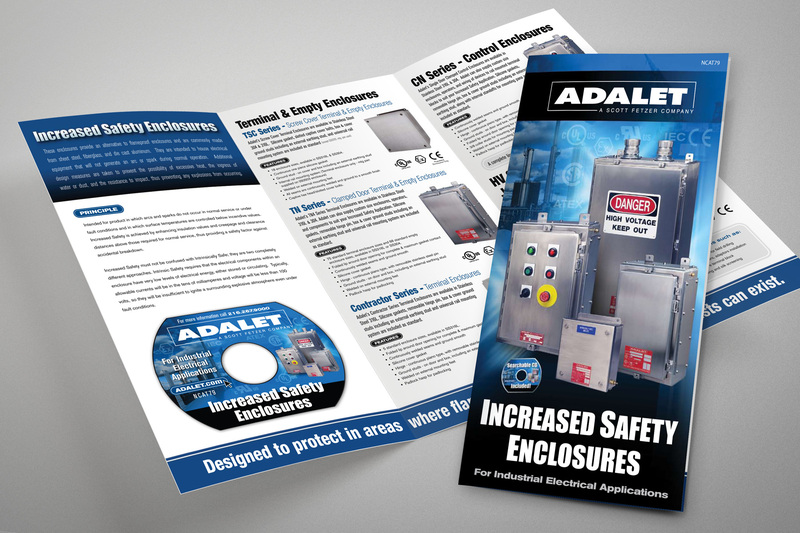 For users of specially certified “Increased Safety” enclosures, we developed a catalog design solely dedicated to the products falling within this market. In addition we created a product line overview brochure that included a fully interactive and searchable digital version of the new catalog on CD-ROM.